You are here HomeFashionEven Priyanka Chopra’s Food Has Taken To Luxury Fashion. Here’s Proof! Priyanka Chopra is a reigning queen of the fashion world. 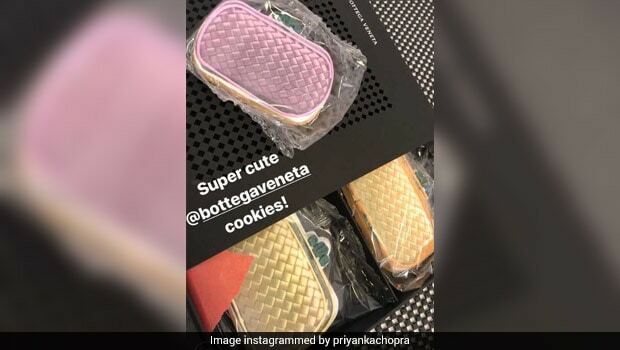 Priyanka was sent some clutch purse cookies by Bottega Veneta. ‘Fashionable’ desserts are a major food trend now. Every single time Priyanka Chopra steps out onto the red carpet, she makes a fashion statement and makes people go gaga over her effortless style. Her sartorial sense is widely known and nothing that PC wears can ever be stale or boring. Case in point is Chopra’s recent photo shoot for the cover spread of the February issue of a popular Bollywood magazine that sent out a stir in both the cinema and the fashion industries. The 35-year-old star looked pristine in a stunning midnight blue dress from Italian designer label, Blumarine, along with a sequin embellished jacket from Hider Ackerman. Just look at the beautiful shades of the frosting on those cookies! 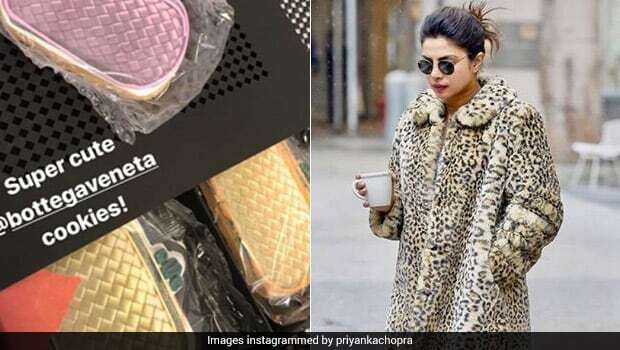 We guess even Priyanka’s food has taken to luxury fashion then. That’s apparently just one of the perks of being an international celebrity with a fan following around the world. We just hope these cookies taste as good as they look. Turning desserts like pastries, cookies and cakes into other objects has become a food trend over the years. Bakers around the world are fashioning accessories like bags, heels and even jewellery from chocolate and cakes, and these goodies look too real to eat. Even edible lipsticks are a thing now! Coming back to Priyanka, the Quantico star has quite a big appetite, which is why she was named ‘Piggy Chops’ by Abhishek Bachchan. Chopra is a self-confessed foodie, as is the case with every true-blue Punjabi person in the world. However, thanks to her superb metabolic rate, she doesn’t have to worry about putting on weight despite indulging in her favorite foods.